Buck Rogers SNES Prototype Released! Actually this is the 21st century A.D.
Out of far left field comes Buck Rogers: The Arcade Game for the SNES. This interesting game was never commercially released but has recently leaked online (google it, it's easy to find). 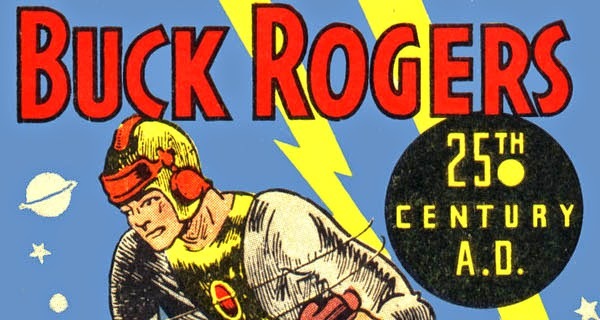 Originally developed in 1993 by the French game developer, Loriciel, the game was eventually canned when the licencing agreement for using Buck Rogers, a popular late 1920's science fiction character, fell through. Loriciel didn't retreat, though, and decided to tweak the game and release it under the title, Jim Power: The Lost Dimension in 3-D. 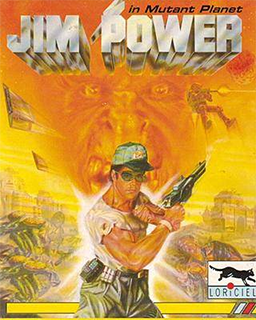 This allowed them to reuse their intellectual property from another Loriciel-developed title, Jim Power in Mutant Planet released on the Amiga in 1992. He's literally inside of it. This recently leaked game shares a lot of similarities with the tweaked final product, a game often hailed as the "most difficult game of all time". A few things that really stands out in Jim Power: The Lost Dimension in 3-D are the soundtrack by Chris Hülsbeck (famous composer of the Turrican soundtrack) and the mind-numbing 3-D effect by parallax scrolling. Now let us compare this to the prototype of Buck Rogers. They almost look... the exact same... I can't spend too much time staring at this, though, it is giving me a headache but I'm excited to see another unreleased game come out of the woodwork. I love these types of things and I wonder if it will have any effect on the price of Jim Power: Lost in Nausea. Feel free to pick up a copy if you have $5 and don't get seasick. I heard that Jim Power sometimes causes seizures due to the design. Beggar Prince open for preordering again.